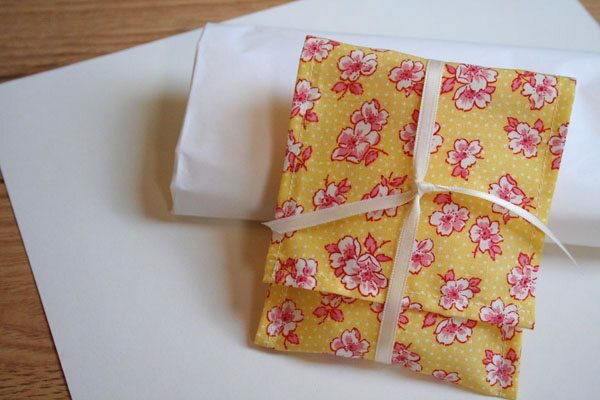 It’s Chelsea, back from Lovely Indeed, with a quick and easy DIY sewing project for you! 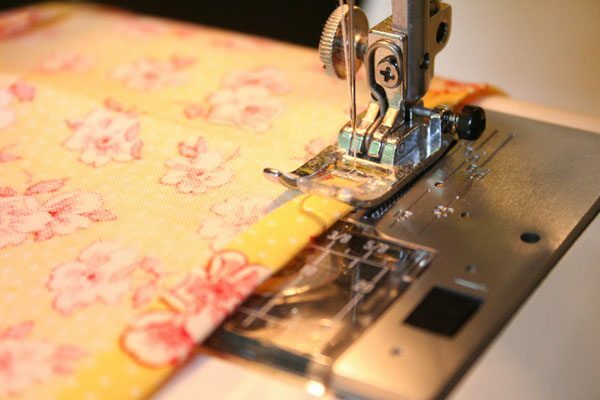 No joke – even a novice on the sewing machine (much like myself) can handle this one. 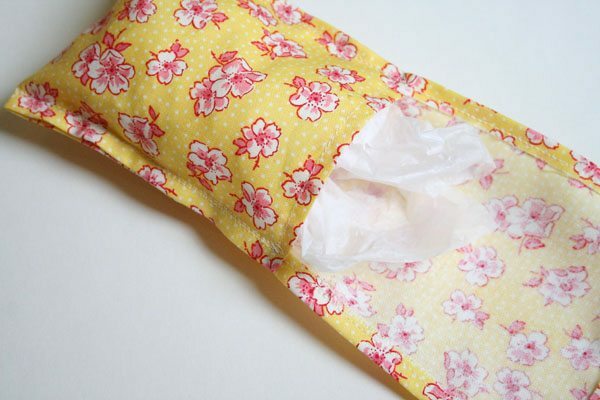 Today, we’re tackling fabric pouches! 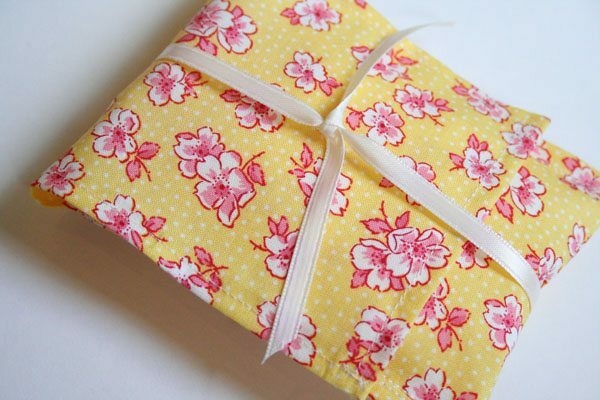 First, find some adorable fabric and cut a piece 5 inches by 15 inches. 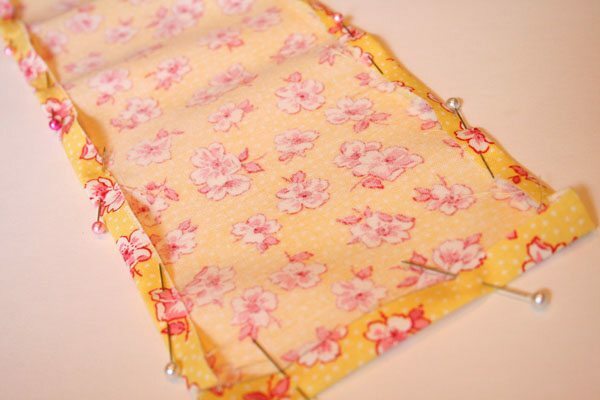 Pin and iron the edges to prepare for sewing a 3/8 inch hem. 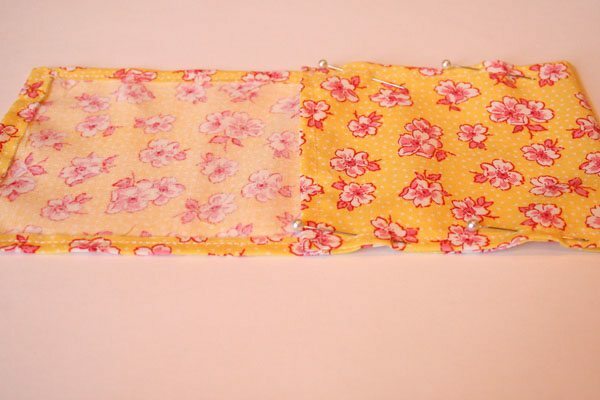 Sew your 3/8 inch hem around all four edges using a straight stitch. Trim any stray threads. 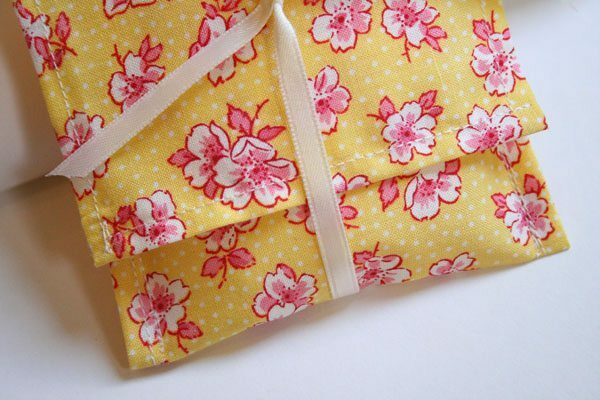 Fold over about 4 1/2 inches of your fabric onto itself and pin at the edges. 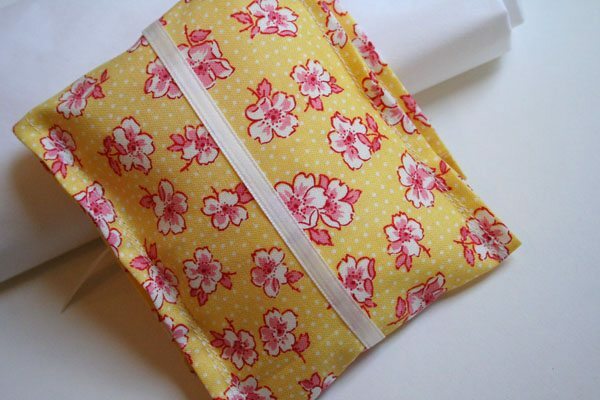 Sew the two open sides down using the same straight stitch. 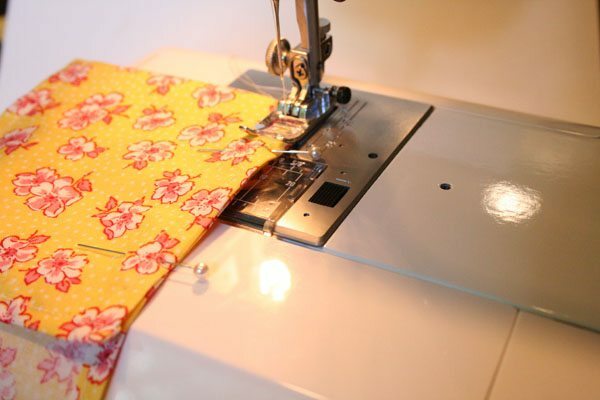 You can sew directly over your original hems. Trim threads.